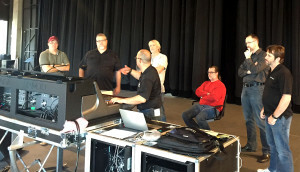 Yamaha Rivage PM10 Texas demonstrations by Jose Perez, Yamaha Professional Audio. 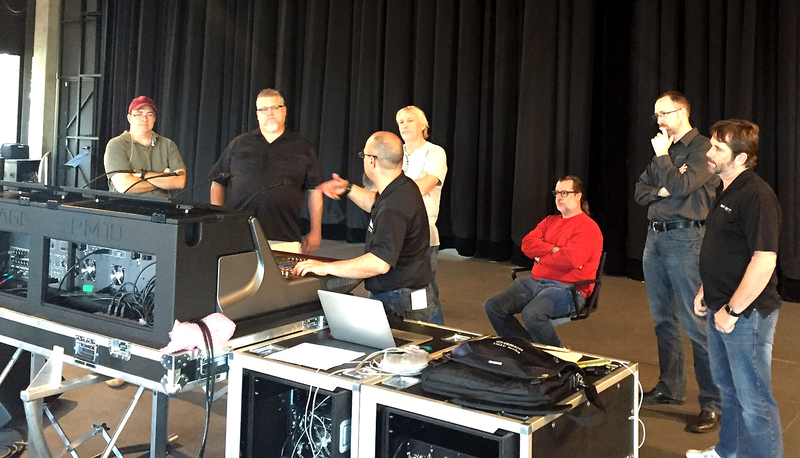 In a series of demonstrations attended by hundreds of very interested audio engineers and production staff at the AT&amp;T Performing Arts Center in Dallas, the Lakewood Church in Houston, Montgomery College in Silver Spring, MD, Clair Brothers Audio, Inc., and Maryland Sound, the new Yamaha Rivage PM10 continues to pique the interest of professional audio personnel within the house of worship, live touring, sound reinforcement, and live broadcast sound markets. Now delivering, the Yamaha RIVAGE PM10 Digital Audio Console significantly increases the quality and versatility necessary in a live sound environment, inheriting features from the renowned PM Series. The PM10 system is comprised of the CS-R10 control surface, DSP-R10 DSP engine, RPio622 I/O rack, three types of RY cards, and two types of HY cards providing flexibility to configure and ideally match the scale and functional requirements of any application. Hybrid Microphone Preamplifiers have been newly developed, as has the analog section both in terms of components and overall design, achieving an extraordinarily pure, natural sound. Impeccable models of Rupert Neve Designs (RND) transformer circuitry and acclaimed SILK processing have been created utilizing Yamaha’s VCM (Virtual Circuitry Modeling) technology. The SILK processing feature includes selectable “RED” and “BLUE” characteristics, and a continuously variable “TEXTURE” knob that facilitate sonic shaping right at the input stage, adding musicality or power as required.